Intestinal renovation: Mobilise your defensive cells in the immune system - natur-apothekes Webseite! - 4 probiotic cultures in a concentration of 24 milliard milk acid bacteria per day serving. supplied, so much like in 6 mugs of yoghurt. E coli bacteria are a part of the intestinal flora. A natural intestinal renovation repairs all inflammatory intestinal illnesses, gets run the metabolism circulation and strengthens the immune system. Gastrointestinal illnesses are inflammatory illnesses with very different activators: Infections (gastritis, diarrhea), injurious substances (alcohol, medicine) and disturbances of the immune system (intolerances). 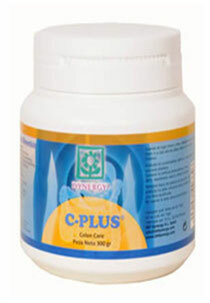 Toxificated intestinal walls prevent a sufficient nutrient, vitamin and mineral care. Particularly the admission of iron, important for the blood formation as well as for the skin and hair pigmentation, occurs primarily across the intestine. The agressive fermentation acids in the small intestine destroy vital amino acids and enzymes. Without enzymes our cells cannot be renewed, nevertheless, and the metabolism derails. 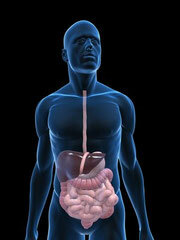 80% of the immune system are anchored in the intestine. With the normal food, the intestinal walls are exposed every day to high charges and a huge number of pollutants, so that the immune system is weakened.